The Chinese have a great way of boosting their self-morale. They encourage themselves by saying “加油 + their name”. 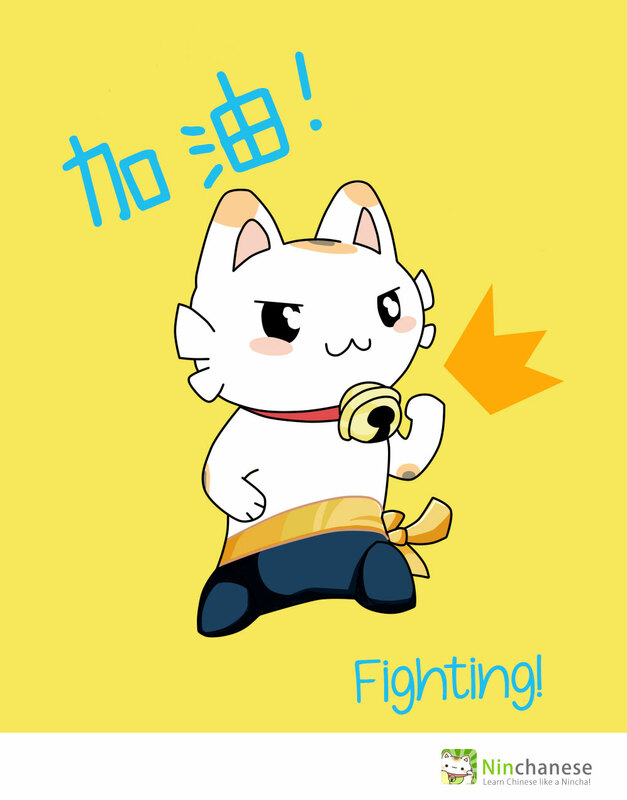 加油 (Jiāyóu) doesn’t have a litteral translation in English: it’s something akin to “Forge on!”, “Press on!” or “Fighting!” as I see increasingly around me. So when you’re feeling a little down, look at yourself in the mirror and say – or shout out – “加油 + [your name]”! Even better: accompany that with a fist pump, for extra effect. You’ll see, it feels good and it may will pull a smile out of you! Kickass Vocabulary learning on Ninchanese! The Automatic Sound, Stars and Awesome Popup Beta Update Voice and stroke order animation update How Many Chinese Characters Do I Need To Learn?